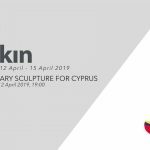 Cyprus’s first and only art, design and communication focused university, Arkın University of Creative Arts & Design (ARUCAD), was proud to host, on 13th of April 2019, the world-renowned TEDx conferences. The conference, which was held in the university’s Kyrenia campus, started with the opening statement by, the President, Mustafa Akıncı. Akıncı, who was accompanied by his wife Meral Akıncı, congratulated ARUCAD on hosting such an event and noted that the abbreviation “TED” stands for, but is not limited to, Technology, Entertainment and Design. Stating that there’s no limit to our thoughts and ideas, Akıncı also emphasızed the importance of the applicability of such creative thoughts and underlined that culture, art, creative thought, new ideas and technology is not subject to any form of embargo. 11 recognized speakers of their respective fields took part in the event that was sponsored by Kuzey Kıbrıs Turkcell Lifecell Digital. The public showed great interest to the event and the audience had the opportunity to listen to a variety of subjects covering communal relations, art education, sound poetry, digital sculpturing, innovation and entrepreneurship.